Home » Medal Groups » Royal Marine M.S.M./Naval LSGC medal pair to Wm Williams, Col. Sergt. 43rd Co. Plymo. R.M.L.I. Royal Marine M.S.M./Naval LSGC medal pair to Wm Williams, Col. Sergt. 43rd Co. Plymo. R.M.L.I. 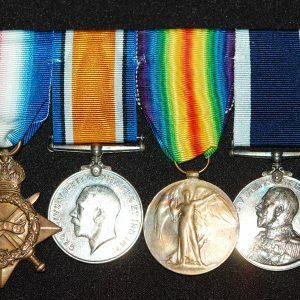 Royal Marine Meritorious Service medal (Victoria) named to “Wm Williams, Col. Sergt. 43rd Co. Plymo. 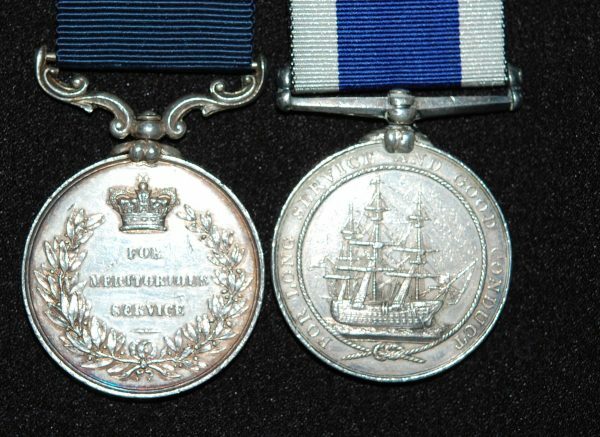 R.M.L.I.”; Naval Long Service and Good Conduct medal (Victorian) to “Wm Williams, Colr Sergt. 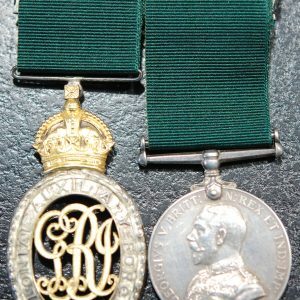 43rd Co. R.M.L.I.” The Royal Marine MSM was initially intended to recognise specific acts of gallantry or distinguished service. 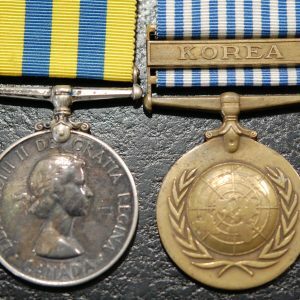 It was later replaced by the Conspicuous Gallantry medal. 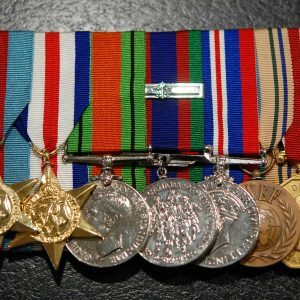 24 years of Meritorious service was required to quality for the medal with 14 of them having been as a Sergeant. Good Very fine. 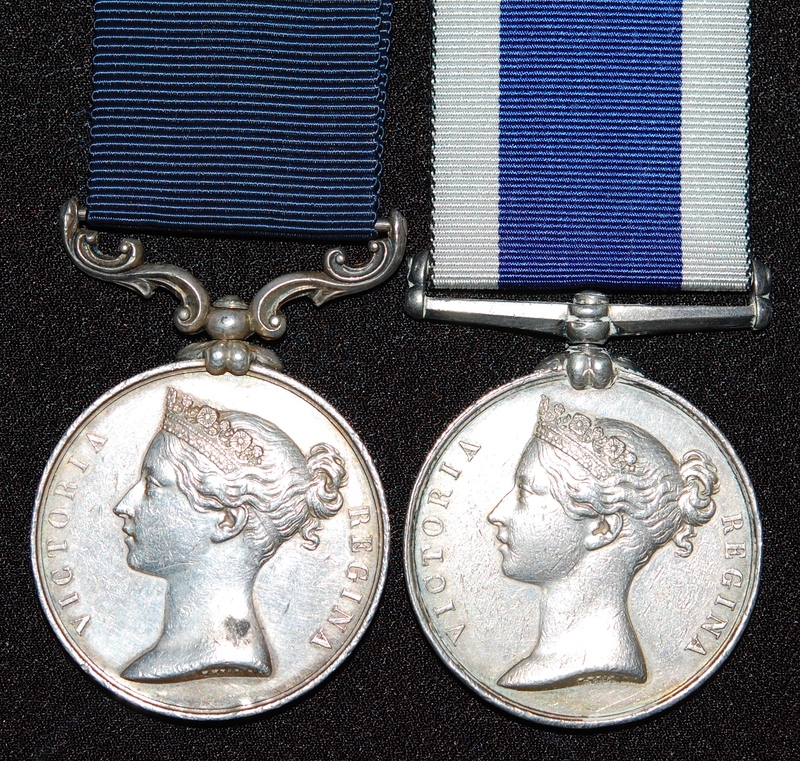 Colonial Auxiliary Forces LS Decoration pair to Capt A.C. McFee, 15th Regt (Argyll Light Inf) & 155th Bn C.E.F.